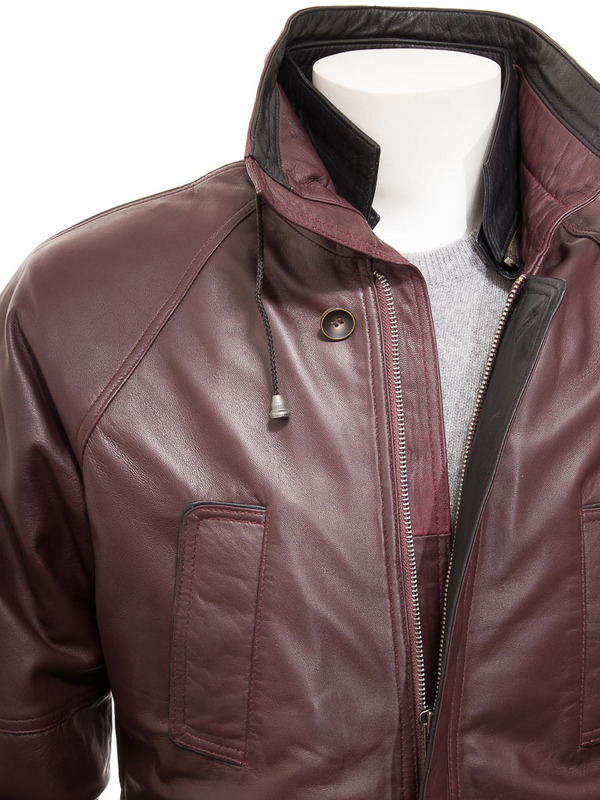 The perfect winter leather coat in a rich oxblood colour. 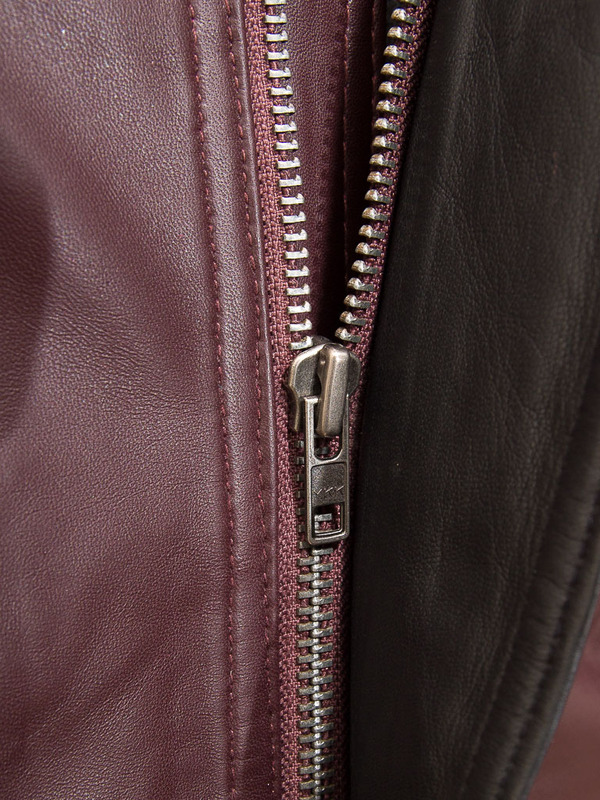 Contrasting black on the collar and zip facing lifts this jacket out of the ordinary. 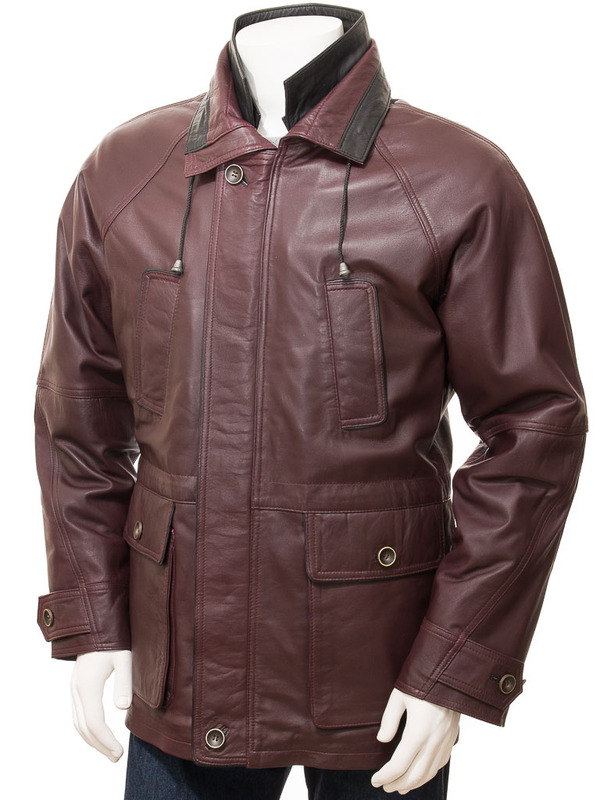 The leather is a sumptuous sheep nappa hide and it fastens with a YKK zip with a fly front to protect it from harsh winter winds. The high collar can either be turned up and adjusted with the integrated drawcord or turned down for a more classic look revealing the detachable tan inner collar. 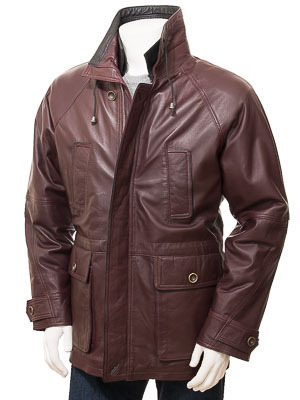 There are a total of four external pockets, two handwarmers at the waist and another couple of generously proportioned patch pockets on the hip. 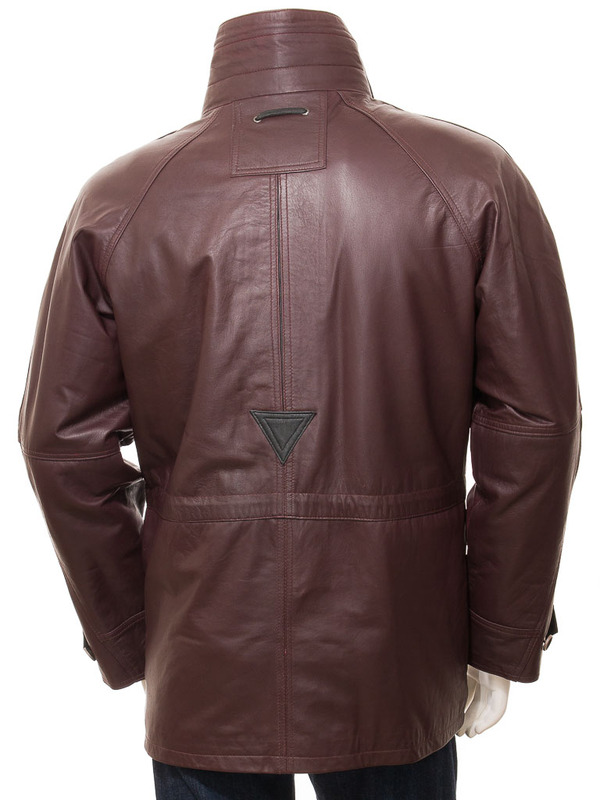 The cuffs of this coat include button adjusters while the back is plain. Inside the commitment to quality continues with a full satin lining plus a drawcord at the waist and three more, leather trimmed, pockets. One of these is zipped for extra security.